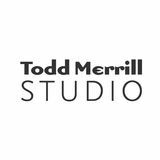 Copyright © 2019 Todd Merrill All rights reserved. No part of this publication may be reproduced, distributed, or transmitted in any form or by any means, including photocopying, recording, or other electronic or mechanical methods, without the prior written permission of the publisher, except in the case of brief quotations embodied in critical reviews and certain other noncommercial uses permitted by copyright law. For permission requests, write to the publisher, addressed “Attention: Permissions Coordinator,” at the address below. 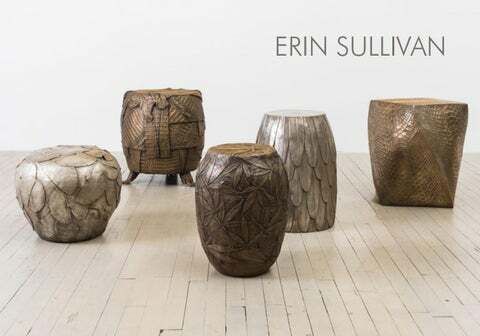 Todd Merrill Studio is pleased to represent renowned American artist Erin Sullivan. Sullivan works principally in bronze to create unique, material-driven studio pieces inspired by landscape and organic, undomesticated life forms. The concepts of time and memory initially attracted Sullivan to bronze as a medium. The materialâ&#x20AC;&#x2122;s ability to survive several millennia brings poetic potency to Sullivanâ&#x20AC;&#x2122;s process. Under the representation of Todd Merrill Studio, Sullivan creates customizable sculptural furniture pieces using a complex process of three-dimensional assemblage and sculpting. Employing advanced casting techniques; Sullivan constructs exquisite, realistic bronze interpretations of her organic subject matter. At once functional objects and works of art, Sullivanâ&#x20AC;&#x2122;s pieces are defined by their intricate surfaces and the versatility of their forms; a solid bronze table base may be used as a decorative pillar, a console, a low table base, or as a freestanding sculpture. Her repertoire presents a visual, elegant equilibrium between artifact and nature and art and design. Sullivan holds degrees from Sarah Lawrence College, where she studied religion, movement, and aesthetics, and from the University of Chile, where she studied fine arts. Her work has been featured in numerous publications and in private collections around the world. Sullivan currently lives and works in New York City. Bubble Series Erin Sullivanâ&#x20AC;&#x2122;s Bubble Series is a lively, whimsical composition of cascading bronze bubbles finished in various natural patinas. The unique works are customizable in their size and finish and represent the perfect marriage of form and function. New York-based contemporary sculptor Erin Sullivan employs the labor-intensive lost-wax process to create exquisite, realistic bronze interpretations of her organic subject matter. As Sullivan works on a commission basis, custom dimensions and finishes may be accommodated. Erin Sullivanâ&#x20AC;&#x2122;s Bubble Side Table is composed of a vortex of bronze bubbles beneath a flat blackened bronze top. The seemingly viscous bubbles of the side tableâ&#x20AC;&#x2122;s base accumulate at the bottom of the freestanding pillar. The side table may be finished in silver nitrate, bronze, or blackened bronze. Inspired by the natural beauty of geodes and pyrite, Erin Sullivanâ&#x20AC;&#x2122;s Bubble Table is composed of two gleaming bronze towers under a glass top. The sleek, flat plains of the towers encase contrasting outpourings of bubbles much like incised geological curiosities. This table may be reconfigured as two freestanding pillars or as a console, dining, or low table (pictured on next page). Erin Sullivanâ&#x20AC;&#x2122;s Bubble Console is composed of cast bronze bubbles finished with silver nitrate, bronze, or blackened bronze. The two pillars stand beneath a custom smoked glass racetrack top. The arrangement of the consoleâ&#x20AC;&#x2122;s pillars in an hourglass formation makes the bubbles appear viscous and the glass top weightless. The console may be rearranged to form two side tables or freestanding sculptures. The Flora and Fauna Series The works in Erin Sullivanâ&#x20AC;&#x2122;s Flora and Fauna Series may be read as functional objects or as freestanding sculptures. The series expresses ideas of time and memory, both constant themes in Sullivanâ&#x20AC;&#x2122;s repertoire. Casting from materials including serpent skin, alligator skin, and feathers, Sullivan immortalizes the organic, crafting an aesthetic equilibrium between life and death, nature and artifact, and art and design. Frozen in an upward swirl, Bronze Serpent is a visual expression of movement that immortalizes the ephemeral skin of a serpent. Hundreds of feathers were molded and sculpted to create the Feather Stool. The density of the workâ&#x20AC;&#x2122;s material elegantly contrasts with the lightness of the delicate feather forms. One of Sullivanâ&#x20AC;&#x2122;s more whimsical works in the Fauna Series, the Alligator Stool especially conveys Sullivanâ&#x20AC;&#x2122;s ideas of time and memory. Three alligator feet that protrude from the base of the table playfully distract from the elegance and opulence of the alligator skin relief, lending a sense of playfulness to the work. Sullivan hand-sculpts each cannabis leaf building layer upon layer to form the stool into a wax model which is then cast in bronze using the lost wax method. Erin Sullivanâ&#x20AC;&#x2122;s unique Bronze Mushroom Shelves offer realistic bronze interpretations of organic subject matter. Appearing to grow from the wall, the Bronze Mushroom Shelves may be exhibited individually or in a group as a large, glistening installation. The work is defined by its intricately detailed surfaces and versatile, varied forms. Dual Nature Series The Dual Nature series is inspired by the relationship between opposing forces. Borrowing from the Japanese concept of wabi-sabi (the acceptance of transience and imperfection), the works in this series reflect dualities in nature like that of the feminine and the masculine or that of the light and the dark. In Sun and Moon, Sullivan juxtaposes a turbulent, twisted relief cast from actual lava rock with a relief featuring the gentle slopes and folds of an undisturbed stretch of beach to present a metaphorical sun rising over a moon. The monumental sculpture radiates a warm glow with embedded LED lights while a curtain of horsehair dramatically descends from the base of the bronze. Sullivanâ&#x20AC;&#x2122;s expanding repertoire offers a visual, elegant equilibrium between artifact and nature. Sun and Moon draws inspiration from the ancient Norse legend of the gods Sol (the Sun) and Mani (the Moon). The myth describes the immortal siblings Mani and Sol who, on horse drawn chariots, are engaged in an eternal race circling the earth. Cast in bronze from a single triangular fragment of burnt old wood, the pictured Fire and Water sconce preserves the natural character of its source material. The sculpted points of the golden bronze relief face upward, radiating a warm glow with embedded LED lights. An attached curtain of blond horsehair dramatically descends from the base of the bronze. The sconce echoes Art Deco motifs. My heartfelt thanks to Todd Merrill for representing my work as only he could; to Greg Glasson, for mentoring me in the art and production of bronze; to Insun and Chris of Beacon Fine Art Foundry, for their mastery, support and friendship; and to Nature, for the infinite inspiration of her beauty.